Our collection of From the Anvil box and rim locks offers a wide choice of locks perfect for both traditional and modern properties. 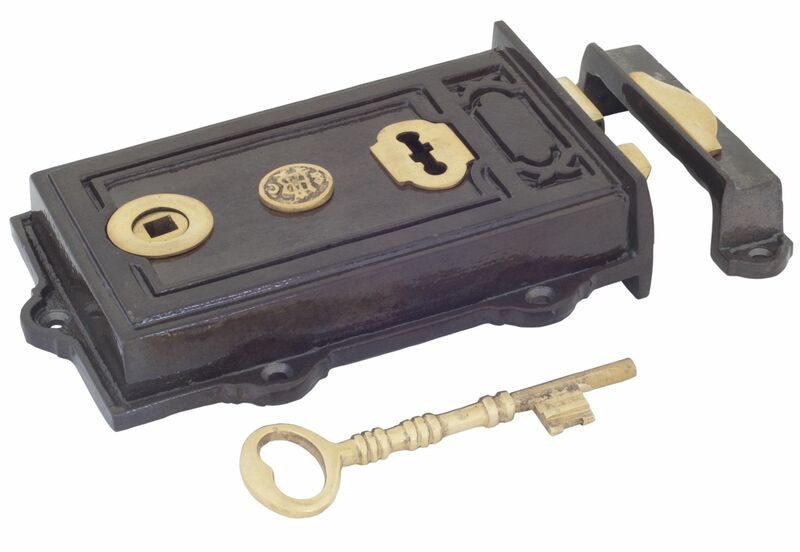 We have available simple and efficient rim locks, including polished brass rim locks and black iron rim locks which are ideal for contemporary settings, as well as more ornamental door locks, such as the oak box locks with octagonal knob and the aged brass davenport rim lock, which are more suitable for traditional and historical buildings. Night latches are used to lock and open both interior and exterior doors. This type of door lock requires a key to operate the lock from the outside and a handle to open the lock from the inside. Our selection of From the Anvil night latches have keyed alike options, which means that one key can open any of the locks. Our mortice bolts are the perfect size to close windows. These must be used with security star keys, which are sold separately, in order to lock and unlock the bolt. We have available chrome window bolts, brass window bolts and black window bolts. We also supply a variety of cupboard and cabinet latches, including cupboard turns and cabinet latches. Cupboard turns hold two doors together, while cabinet latches close doors completely and require a handle to operate the latch.